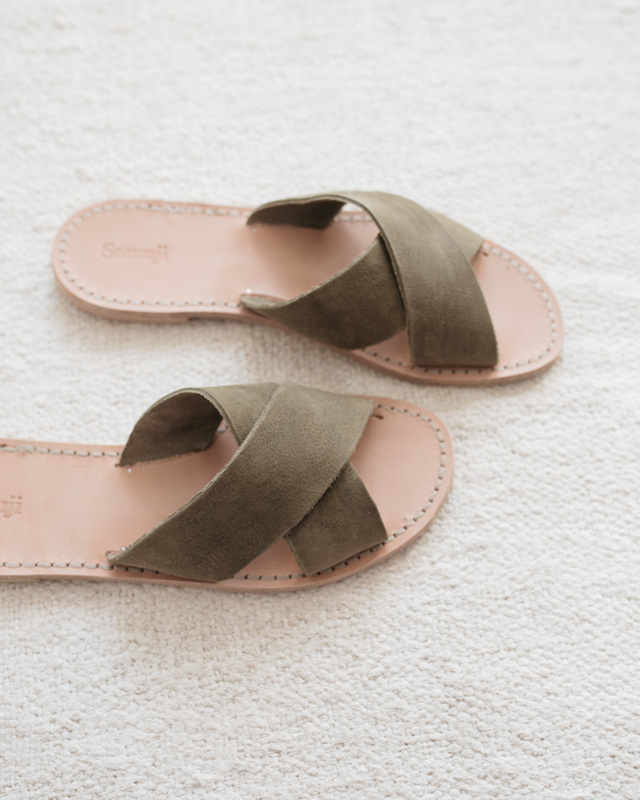 Slip on sandals with khaki green suede straps and natural leather sole by Samuji. 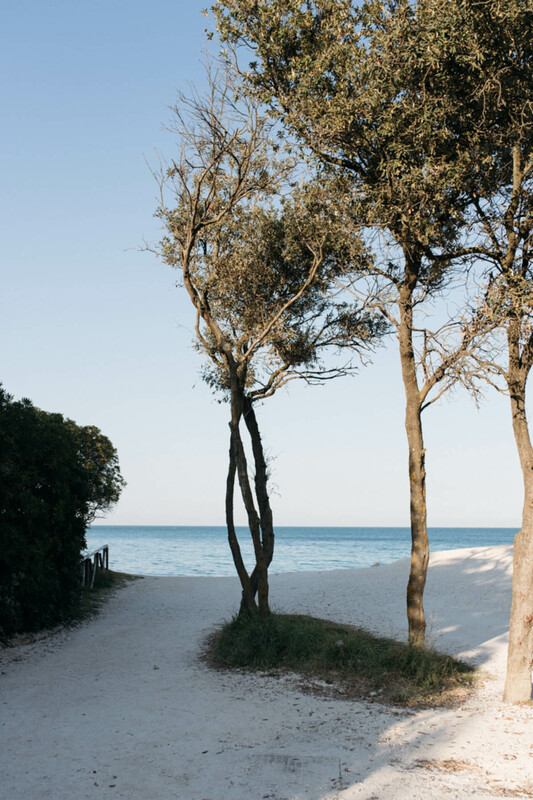 Seaside in Portonovo, Italy, April 2017. Have your feet scrubbed and pedicured.